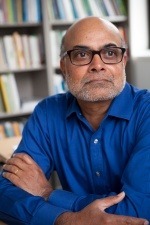 This post originally appeared at FarmingFirst.org, where TCi director Prabhu Pingali contributed to a series of blog articles on resilience published in partnership with the International Food Policy Research Institute (IFPRI) ahead of the conference “Building Resilience for Food and Nutrition Security” to be held May 15-17. 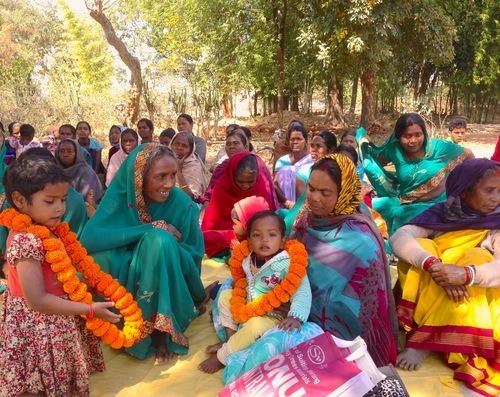 Women’s Self-Help Groups (SHGs) are becoming ubiquitous across rural India. There are currently around 3 million registered women’s SHGs in the country. These groups are becoming integral to the lasting resilience of India’s rural food systems and communities, and can provide some useful lessons for the rest of the developing world. Initially set up for facilitating microfinance, SHGs are now playing an important role as conduits of overall empowerment of rural women in India, giving women the strength to create change that they could not have been able to achieve individually, in terms of access to finance, environmental stewardship, and even political empowerment. This year, I have visited many groups that demonstrated the impact women’s SHGs are having on building a resilient community. For example, in Gufu, a village located a few hours outside of Ranchi, Jharkand, we visited an SHG that was helping women break their dependence on local moneylenders and stop selling valuable assets (often land) when they needed access to credit. It began life as a savings and loans group and is now operating a cooperative store selling seed and fertilizer, and has helped its members purchase irrigation pumps for their land. The leader of an SHG in Kunti, a neighboring area to Gufu, told us proudly: “We now have a bank account and I go to the bank to manage the account. I never went into a bank before I started with this group. I always thought banks were for people with money. We have money now.” This new sense of confidence has women increasing their participation in village-level meetings and talking about their aspirations to run for local government offices. In Jharkand, we visited PRADAN, an NGO that has a long track record of working with women’s groups. PRADAN was helping one rural community improve the supply of water to its drinking water wells by changing the way it uses land on the upper watershed. The women in the community participated in mapping the watershed, in making decisions on cropping pattern changes, and in implementing the change. Today, perennials have replaced annual crops in the upper watershed, soil erosion has reduced significantly, and well water is available throughout the year, even during the peak summer months. The evolution of SHGs from savings and loans groups to become an access point for political decisionmaking and natural resource management is truly astounding – but not all groups are able to step up to taking on the broader development and local governance challenges. So what makes an SHG flounder or flourish? Many of the groups we visited lacked leadership or managerial skills, or exhibited poor group cohesion. In many cases, the leaders were overburdened by numerous and competing demands from the various development projects that are trying to use the SHGs for accomplishing their objectives. All too often, external organizations eager to see change, have elected to channel projects through SHGs. They are perhaps unaware of how the splintering of limited time and resources of SHG women might undermine the capacity for SHGs to manage their own affairs, a fundamental dimension for change. Institutions, donors and organizations looking to leverage the power and potential of SHGs should be optimistic, but keep in mind the ultimate goal of enhancing women’s empowerment and opportunity. Individual ”buy-in” and group ownership of decisions are vital to ensuring that SHGs are a platform to facilitate transformative change that will build a more resilient community. As development agencies, researchers, or practitioners, we need to proceed with caution so as not to undermine the potential of SHGs. Equipping SHGs with the financial and managerial resources they need to meet goals determined by the group and forgoing projects that could highlight the differences amongst women (educated versus non-educated, young versus old) will remain critical principles of practice. Certainly, it will require a more nuanced view of SHGs, one that looks at them as organizations on a pathway to determining their own future, rather than simply vehicles for project implementation that can provide heartwarming stories about women.